Introduction Exposure to armed conflict has manifold implications for both military and civilian populations. Prenatal stress has detrimental effects on both obstetric outcomes, fetal development and the development of an individual later in life. As well as causing stress to the mother, armed conflicts can decimate local infrastructures making it increasingly difficult to access antenatal and general healthcare. The present review is particularly salient in light of the many ongoing current conflicts. It examines the impacts of exposure to armed conflicts on the pregnancy outcomes. Methods A thorough literature search was carried out on three databases using MeSH and truncation terms. 13 studies were included in the final analysis relating to mothers exposed to armed conflicts since 1990. Results The studies include data from 1 172 151 patients: mothers from Libya, Bosnia, Herzegovina, Israel, Palestine, Kosovo, Yugoslavia, Nepal, Somalia, Iraq, Kuwait and Afghanistan. There is evidence of an increased risk of mothers giving birth to babies of low birth weight as reported in nine included studies. All have a degree of bias, with four at lower and five at higher risk of bias, either not adjusting for confounders or not employing robust measures of exposure to conflict. Further evidence suggested an increase in the incidence of miscarriage, stillbirth, prematurity, congenital abnormalities, miscarriage and premature rupture of membranes among mothers exposed to armed conflict. Conclusion Despite the varying degrees of bias which must be considered for the available evidence, the data with the lowest risk of bias suggest a relationship between exposure to armed conflict and low birth weight. In light of the current level of displacement experienced by such populations, the identification of pregnancies at risk could improve the efficacy of antenatal care. Clinicians should consider additional ultrasound scanning where appropriate to monitor for restricted growth in such pregnancies. Civilians exposed to armed conflict are subject to persistent threats of bombing, and both biological and chemical weapons. Increasingly over recent years, it is these civilians who have been most adversely effected by wars, impacting both physical and mental health. Armed conflicts reduce healthcare provision through the destruction of infrastructure, food and water supplies and sanitation systems. This decreases the availability of antenatal and perinatal care for expectant mothers. Adverse outcomes in pregnancy are manifold. While pregnancy outcomes such as premature birth, stillbirths and low birth weight have been documented in individual studies, no systematic reviews have been conducted on this subject. This review included 13 studies. While the studies present evidence with varying degrees of bias, all studies measuring birth weight found a significant relationship between maternal exposure to armed conflict and increased rates of low birth weight. There was limited evidence suggesting significant positive relationships between armed conflict and miscarriage, stillbirth and prematurity. There was less evidence across the other studies investigating relationships between exposure to armed conflict and other adverse pregnancy outcomes such as rates of congenital abnormalities. Given that mothers exposed to armed conflict are at a higher risk of giving birth to babies of low birth weight, clinicians must adjust care accordingly,that is, increase the frequency of ultrasound scans to track the growth of the baby and be prepared to intervene if required. 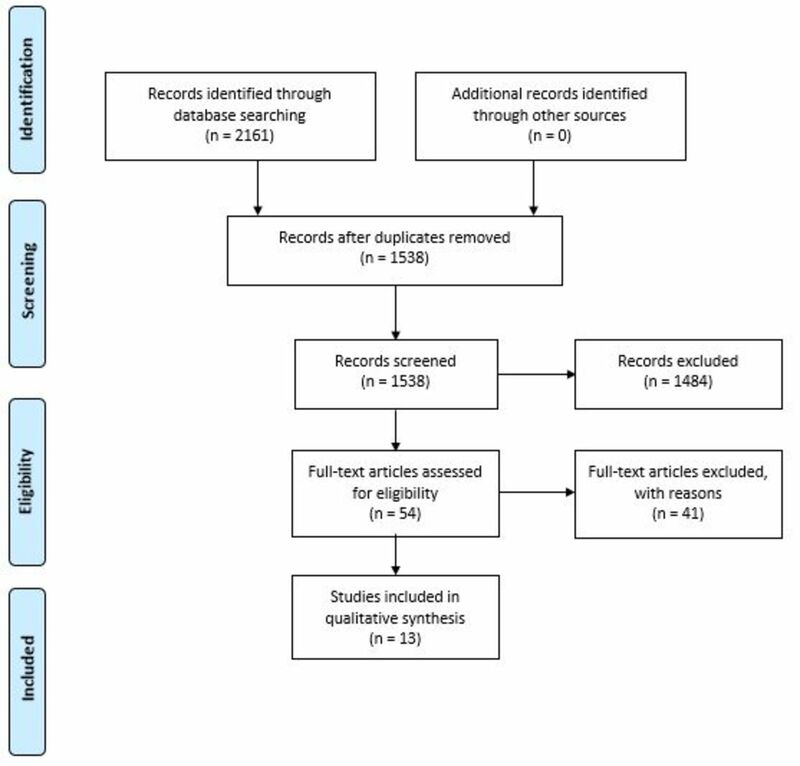 This systematic review focuses on the effects of exposure to armed conflict on pregnant women, for whom conflict can mean a disruption to antenatal care, a decreased number of trained birthing attendants available at delivery and increased maternal stress (shown to raise levels of maternal cortisol and associated with long-term adverse consequences for the child).13 Armed conflict can also result in violence against women14–16 and reduced provision of emergency care.17 This review examines both armed conflicts in which women were subjected to acute stressful events (such as explosions and other severe life-threatening events) as well as chronic stressful events of war (such as fleeing conflict and disruptions to food and medical supplies). It investigates the extent to which stresses associated with exposure to armed conflicts affect the incidence of adverse outcomes in pregnancy, including premature birth, stillbirths and low birth weight. Finally, the review considers both immediate consequences, affecting pregnancies at the time of exposure, as well as longer-term consequences, affecting women years after exposure. The present review is particularly salient in light of the many ongoing current conflicts. Syria, in particular, which has featured heavily in global news, has seen large numbers of people forced to flee their homes, resulting in 1 177 914 new asylum applications to European countries between April 2011 and September 2016.4 It is thus crucial to fully understand the implications of exposure to armed conflicts on pregnancy to provide the most appropriate level of care to these women. Three databases were searched: MEDLINE, Web of Science and Embase. The search terms are outlined in figure 1. Studies were assessed for the following criteria: inclusion criteria: English language, human studies, studies after 1990 (and related to armed conflicts starting after 1990), include more than five patients, quantitative data and peer-reviewed studies with statistical analysis. Exclusion criteria: military personnel, editorials and letters. The search terms were refined following consultations with a clinical evidence specialist. The final search was conducted on 13 October 2016. In addition, the ancestry method was employed to ensure completeness, that is, bibliographies of relevant studies were screened to identify any further studies. No additional articles were identified. A preliminary grey literature search was conducted but no relevant studies were identified. Following this search, the authors agreed only to include peer-reviewed, published papers. The studies were independently screened by two authors, rejecting studies for which the titles and abstracts did not meet the inclusion criteria or met the exclusion criteria. The remaining 54 studies were also independently assessed for eligibility; if they did not meet the criteria for inclusion, they were documented in a table, accompanied by the reasoning (see online supplementary appendix x). In total, there were disagreements about the inclusion of six studies (11.1%). These discrepancies were discussed until agreement was reached for all. The screening process is detailed in the Preferred Reporting Items for Systematic Reviews and Meta-Analyses (PRISMA) flow diagram (figure 2). Data were extracted from 18 studies. Of these, five were rejected from the qualitative synthesis on grounds of their insufficient quality being graded with both a 2– on the level of evidence scale and a 0 (unacceptable) on the methodology checklist scale. The data extracted from the studies were recorded in a comprehensive data extraction table and later condensed into the final results tables (see online supplementary appendix tables 1, 2, 3). This study defined armed conflicts in broad terms, in line with the International Committee of the Red Cross and international humanitarian law to include both international armed conflicts (involving two or more opposing states) and non-international armed conflicts (between governmental forces and non-governmental armed groups).22 This study considered armed conflict to involve exposures to physical, biological and chemical warfare. The study did not include one-off acute life-threatening events such as the attack on the World Trade Center. Adverse pregnancy outcomes were also defined in broad terms, with individual study outcomes detailed in the results tables. The outcomes measured in the review included preterm labour, post-term labour, low birth weight, stillbirth, spontaneous abortion (miscarriage), small for gestational age, premature rupture of membranes, early neonatal mortality and perinatal mortality and maternal mortality. Due to the heterogeneity of study designs, it was deemed inappropriate to perform a meta-analysis on the included studies; therefore, the results are synthesised in a narrative analysis. Thirteen studies are included in the analysis. Five further studies were rejected on grounds of a high risk of bias as a result of methodological design.5 23–26 The studies relate to mothers from 12 countries affected by armed conflict; 2 studies relating to participants from either Iraq or Kuwait during the 1990–1991 Gulf war,27 28 1 study relating to Libya,29 4 relating to Bosnia and Herzegovina,30–33 3 relating to Israel and Palestine since 2000,34–36 1relating to Kosovo and Yugoslavia37and 1 relating to Nepal.38 There was also one study relating to refugees settling in Norway; these women were from Somalia, Kosovo, Iraq and Afghanistan.39 There were four different study designs: two retrospective cross-sectional studies,27 29 one prospective cohort study,39 three retrospective cohort studies34–36 and seven interrupted time series.28–33 38 In total, the studies include data from 1 172 151 participants. However, the three studies with the most participants,30–32 accounting for 1 127 614 participants, are also those with some of the weakest ‘level of evidence’ scores (with SIGN 50 scores of 2– and 1+ on the methodology checklist). The studies with the strongest level of evidence scores and a SIGN 50 grade of 2+ analyse data from 29 148 participants. The tables present information on both the significant and non-significant data from the studies. If p values or OR values relating to the outcomes were given in the studies, they have been included in the tables. The ‘measure of exposure/length of exposure’ column relates to how long the population was exposed to specific aspects of armed conflict and outlines the specific exposures that the authors cite as constituting war stressors. This information was not available for every study. Four studies focus primarily on low birth weight30 32 32 35 and a further five studies measure it as an outcome.27–29 31 39 All studies indicate a significant relationship between exposure to armed conflict and a detrimental effect on birth weight, four of which have a low risk of bias as indicated by their SIGN score; Arnetz et al 27 (p=0.017, OR 3.00), Mansour et al 35 (p<0.05), Maric et al 37 (p<0.001) and Bakken et al 39 (OR 3.97). Studies evaluated this relationship in three ways. (1) The OR of a woman giving birth to a low birthweight child if exposed to specific chemicals was calculated compared with a control group. (2) The rate of low birthweight babies during a war period compared with the prewar/postwar rates. (3) The percentage increase risk of having a low birth weight baby is calculated by examining the intensity of conflict in a mother’s place of residence. Interestingly, the only study to examine the trimester of exposure noted no significant relationship between the trimester of stress exposure and birth weight in infants born during the period.37 In comparison to the other studies, this study had a low risk of bias (see online supplementary appendix table 1). Stillbirth was measured in five studies.27 28 31 33 38 Of these, only one demonstrated a significant increase in the rate of stillbirth (p<0.01); this was shown in relation to contact with specific chemical exposures in the 1990–1991 Gulf War such as smoke from oil well fires, exhaust fumes from kerosene heaters and generators, diesel fumes, mustard gas and food contaminated with smoke, oil or other chemicals.27 This study was among those with the lowest risk of bias. Three studies, two with higher risks of bias and another with a low risk of bias, showed no significant difference in the rates of stillbirth when considering exposure to armed conflict.28 31 38 The Pavlinac et al study even showed significant decreases in the overall rates of stillbirth among all singleton births.33 This study also demonstrates that there was a significant increase in stillbirths among mothers who had preterm births (p<0.001)(see online supplementary appendix table 2). Prematurity was measured in eight studies. Four studies demonstrated a statistically significant increase in premature births.27 29 31 34 Of these, the Arnetz et al 27 and Keren et al 34 studies have lower risks of bias than the Skokic et al 31 and Bodalal et al 29 studies. Arnetz et al measure exposures to specific chemicals and report increases in the rates of prematurity. In contrast, one study with a low risk of bias compared with the other included studies found an increase in post-term births in Somalian women39 exposed to armed conflict and another study showed a significant decrease in the number of premature deliveries during the war.33 However, Pavlinac et al 33 found that within the population of premature babies both stillbirth and early neonatal mortality rates increased during the period of armed conflict. The other studies found no such significant relationship between armed conflict and prematurity28 37 (see online supplementary appendix table 2). Other adverse pregnancy outcomes were addressed to a lesser extent. Three studies discuss congenital abnormalities: two studies, only one of which had a relatively low risk of bias,27 found significant increases (either in specific types of congenital abnormalities or rates in mothers exposed to diesel fumes)27 28 while a third study found no significant difference.37 Two other high-quality articles by Valente and Wainstock et al considered rates of miscarriage.36 38 Wainstock et al found a significant increase, and while the Valente study found a positive correlation between exposure to armed conflict and miscarriage, this finding was not significant. These results did not show a simple dose relationship.36 Wainstock et al, for instance, found that mothers with both the highest and lowest exposure rates during pregnancy in the sample were at the highest risk of miscarriage. In the same study, mothers with the highest rates of exposure preconception were at greatest risk of miscarriage in relation to those mothers with lower grades of preconception exposure. In addition, premature rupture of amniotic membranes was mentioned in two studies, both with lower risks of bias; one found a significant increase during the war years and another found no significant differences in the prewar/war period rates.34 37 Two studies with higher risks of bias also examined early and perinatal mortality.32 33 These both relate to the armed conflict in Bosnia. The studies found different results. Pavlinac33 found that, overall, early neonatal deaths decrease significantly both during and after the war. However, in contrast, when limiting the analysis to early neonatal deaths of only premature births during the armed conflict, there was a significant increase in the early neonatal mortality rate. Skokic32 found a significant increase in both neonatal and perinatal mortality during the period of armed conflict (p<0.001, <0.05). Three additional studies examine other complications including meconium-stained liquor, pre-eclampsia, maternal mortality, placental abruption, placenta previa, perineal rupture, postpartum bleeding >500 mL, umbilical cord complications, neonatal jaundice, rhesus incompatibility, breech birth, shoulder dystocia, fetal asphyxia and hydropic newborns.31 33 37 39 Of these, only meconium-stained liquor was found to be significantly increased—this was within the population of Somalian mothers who sought asylum in Norway and gave birth outside Somalia.39 Such a significance was not found in the other refugee populations. Skokic et al observed that maternal mortality rates were increased during periods of armed conflict (p<0.001).31 There was a higher risk of bias in this study. Maric et al, in contrast, reported a significant decrease in the rates of pre-eclampsia during the armed conflict (OR 0.592, 95% CI 0.407 to 0.863).37 This study had a lower risk of bias (see supplementary appendix table 3). Only one study examined the trimester of pregnancy and exposure to armed conflict in the data analysis.37 No statistically significant difference was found in birth weights between groups exposed at different periods throughout pregnancy. The results suggest that exposure to armed conflict increases the incidence of adverse outcomes in pregnancy. The extent to which this is the case cannot be easily quantified. The most convincing evidence suggests that the incidence of low birthweight infants increases with maternal exposure to armed conflict. Four of the nine studies reporting this significant relationship between exposure to armed conflict and low birth weight have been assessed to have a relatively low risk of bias. The effect sizes from the other five studies, however, may have a higher risk of bias due to the lack of adjustment for confounders and limited data on measures of exposure to conflict. In addition, there is some more limited evidence supporting increased rates of miscarriage, prematurity, stillbirth, premature rupture of membranes and congenital abnormalities. However, the heterogeneity of the available research does cause some difficulty in assessing the overall available evidence. The included studies considered a wide range of different sample populations. For instance, Pavlinac et al provide data on a specialist tertiary centre (dealing with a higher proportion of high-risk pregnancies), whereas Skokic et al focus on a regular obstetric clinic. As the specialist centre will be providing care for more complex cases, we may expect to have higher rates of adverse outcomes. In addition, the measures of exposure used varied across studies; while some used more general indicators such as country of birth to measure exposure,39 others considered much more specific indicators through the use of exposure questionnaires27 or through consideration of exact dates of birth in relation to the most intense periods of armed conflict.37 Finally, it is challenging to compare studies directly due to heterogeneity in reporting of statistics with some authors providing solely p values or OR values within the original research paper. There are several limitations to this review. Many of the studies did not fit neatly into the SIGN 50 study design classification algorithm or, because they were cross-sectional or interrupted time series, were deemed to be low-quality evidence. In addition, as with all systematic reviews, there is the potential for publication bias, namely that the evidence published is skewed in favour of significant positive findings. The review does not consider grey literature. While organisations such as the UN, Médécins sans Frontières and the Red Cross do collect wartime data, after a preliminary grey literature search the authors agreed only to include peer-reviewed studies. Finally, this review only considers studies written in English—widening the scope may have yielded some further evidence on this global topic. In addition, several of the studies relate to countries which have a long history of short armed conflicts or short periods of peace between longer armed conflicts; this means that many of the control populations could well have been exposed to similar conflicts in the past. This is particularly pertinent for the armed conflicts in Israel, Palestine, Iraq and Somalia. It also suggests that any distinctions made between the effects of acute rather than chronic armed conflict may be more challenging to make. Furthermore, none of the studies define war or armed conflict in general terms, again making it difficult to distinguish between the effects of various aspects of armed conflict (eg, acute stressful events compared with long-term disruption of medical facilities). Ultimately this makes it challenging to fully comprehend the short-term or long-term effects of armed conflicts on pregnancy. 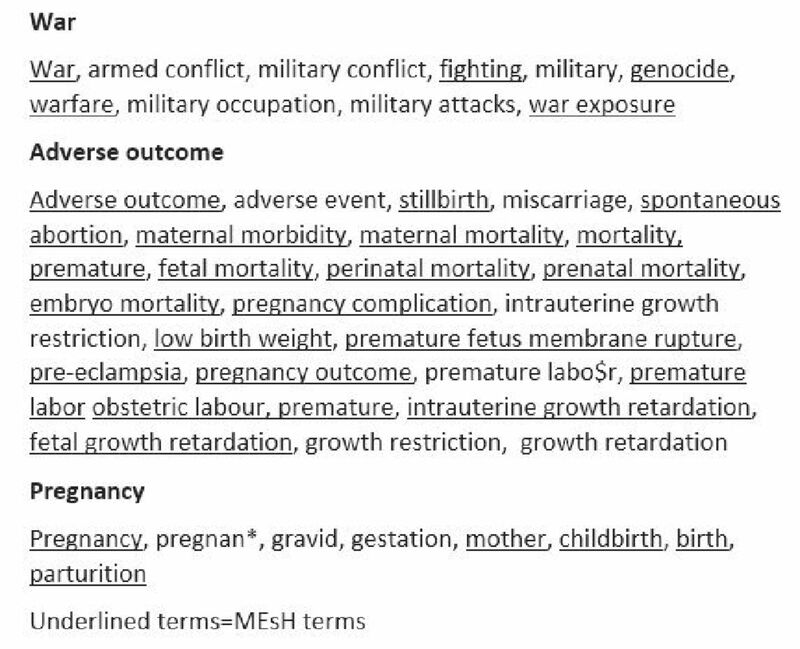 In conclusion, the evidence reviewed in this study suggests that exposure to armed conflict has a multitude of effects on outcomes in pregnancy. In particular, exposure to armed conflict increases the risk of having low birthweight infants. The long-term health implications of low birth weight are significant because individuals are at increased risk of morbidity and mortality and will require increased medical care throughout their lives.40While the evidence for other outcomes is less strong, the review also identifies increased incidence of adverse outcomes in mothers exposed to armed conflict. Further well-conducted studies are needed to add weight to conclusions drawn so far. Nonetheless, the findings of this review should be borne in mind when treating patients exposed to armed conflict and systems should be implemented to support these individuals. Clinicians should consider using ultrasound scans more frequently in the cases of such mothers in order to effectively care for patients who are at a higher risk of giving birth to an infant of low birth weight. This will only be possible if warring parties are committed to following the Geneva Convention, refrain from attacking healthcare facilities and workers, and are adequately resourced.41 Until this happens, women and their infants will be at continued risk of adverse outcomes in pregnancy. Recommendations about pregnancy monitoring are also particularly important to consider for clinicians in other countries, who may be treating women displaced due to armed conflict. United Nation Po. Current peacekeeping operations. 2016 http://www.un.org/en/peacekeeping/operations/current.shtml (accessed 29 Nov 2016). United Nation Peacekeeping. United Nations Peacekeeping helps countries torn by conflict create the conditions for lasting peace. We are comprised of civilian, police and military personnel. http://www.un.org/en/peacekeeping/about/ (accessed 30 Jun 2016). Aljazeera report on 2016 UN data. http://www.aljazeera.com/news/2017/02/afghan-civilian-casualties-2016-170206062807210.html (accessed 30 Jun 2016). UNHCR TURA. Syria regional refugee response. 2016 http://data.unhcr.org/syrianrefugees/asylum.php (accessed 29 Nov 2016). Amnesty International. Syrian and russian forces targeting hospitals as a strategy of war. https://www.amnesty.org/en/press-releass/2016/03/syrian-and-russian-forces-targeting-hospitals-as-a-strategy-of-war (accessed 28 Jun 2016).
. Perinatal health care in a conflict-affected setting: evaluation of health-care services and newborn outcomes at a regional medical centre in Iraq. East Mediterr Health J 2014;20:789–95.
. Bosnia-Herzegovina: a case study in service collapse. Safe motherhood. Entre Nous Cph Den 1998;38:12. SIGN. ‘Who we are’. http://www.sign.ac.uk/who-we-are.html (accessed 28 Jun 2016). Guidelines Network SI. What is SIGN? 2015 http://www.sign.ac.uk/about/introduction.html (accessed 29 Nov 2016). Red Cross ICot. How is the Term "Armed Conflict" Defined in International Humanitarian Law? 2008 https://www.icrc.org/eng/assets/files/other/opinion-paper-armed-conflict.pdf (accessed 29 Nov 2016).
. Did anxiety during the Gulf War cause premature delivery? Mil Med 1993;158:789–91.
. Nutritional effects of the siege on new-born babies in Sarajevo. Eur J Clin Nutr 1995;49(Suppl 2):S33–S36.
. 1991 Gulf War exposures and adverse birth outcomes. US Army Med Dep J 2013:58–65.
. Pregnancy outcomes in Benghazi, Libya, before and during the armed conflict in 2011. East Mediterr Health J 2014;20:175–80.
. Secular birth weight changes in liveborn infants before, during, and after 1991-1995 homeland war in Croatia. Croat Med J 2006;47:452–8.
. Perinatal and maternal outcomes in Tuzla Canton during 1992-1995 war in Bosnia and Herzegovina. Croat Med J 2006;47:714–21. International Committee of the Red Cross. Treaties state parties and commentaries. https://ihl-databases.icrc.org/applic/ihl/ihl.nsf/INTRO/615?OpenDocument (accessed 30 Jun 2016). Contributors All authors had full access to all of the data (including statistical reports and tables) in the study and can take responsibility for the integrity of the data and the accuracy of the data analysis. All authors read final manuscript and approved it.